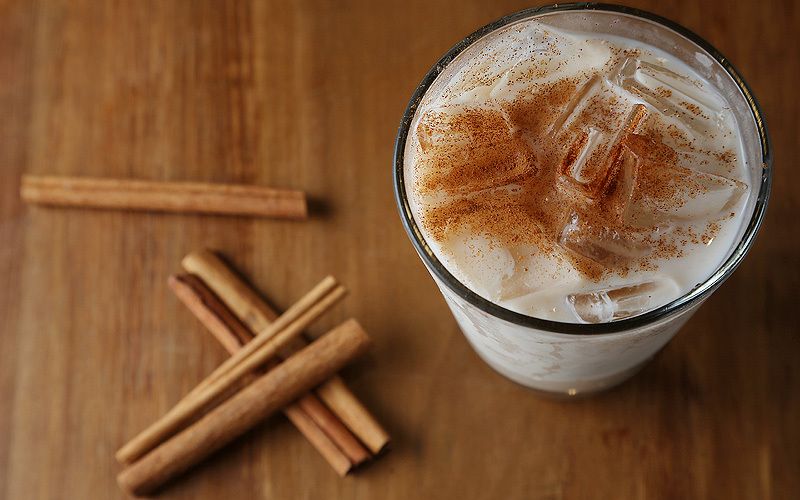 Aside from tamales, it wouldn’t be Christmas without horchata. Solita Tacos & Margaritas in Valencia offers a tasty grown-up version of the classic Mexican drink that you can make at home. Simply serve it on the rocks with Agavales blanco tequila, 1921 Crema and a touch of cinnamon. “It tastes like Cinnamon Toast Crunch cereal milk,” says creator Colin Pflugradt. Rev up the holidays and get ready for the new year with an Oil Change. 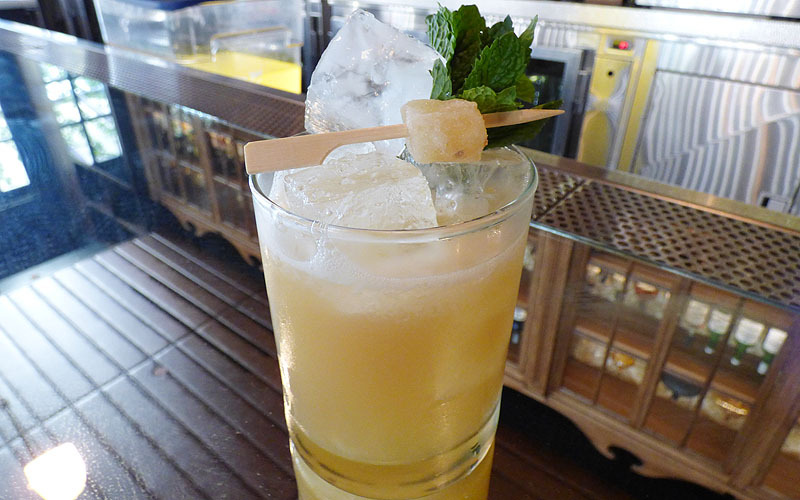 It’s a crowd favorite at Murph’s in Sherman Oaks and you can recreate this signature cocktail by combining bourbon, fresh ginger, honey and lemon. 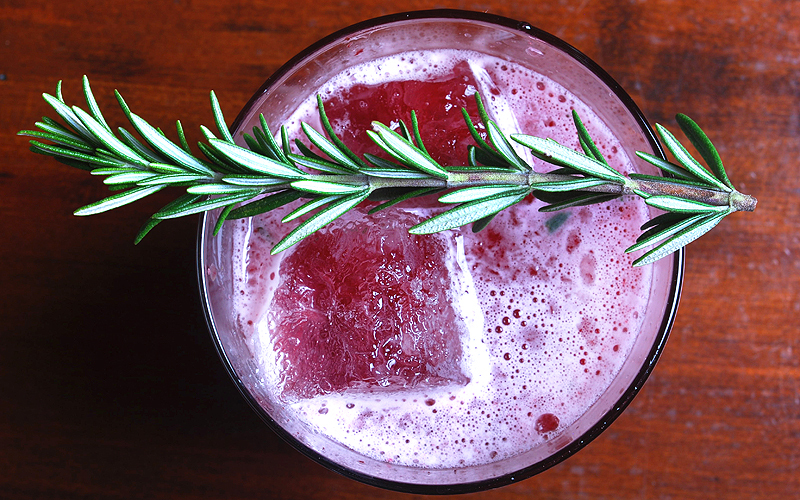 It makes sense that this pretty-as-a-picture cocktail comes from the gorgeous Faith & Flower restaurant in Downtown LA. Try it at your own Gatsby-style soiree by combining Clyde May Alabama whiskey, lemon, mint, ginger and baked apple bitters served on the rocks. 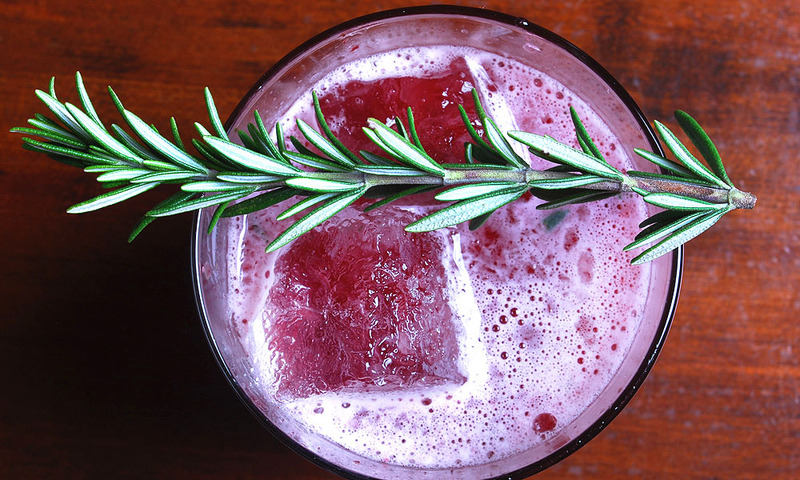 This gorgeous drink at The Raymond 1886 Created by Peter Lloyd-Jones is a sweet twist on a more traditional bourbon sour made with fresh huckleberry jam, fresh lemon and the perfume of seared rosemary sprig. Just break out the lighter and give it a little burn! Whether you’ve been nice or naughty, everyone loves a hot toddy. 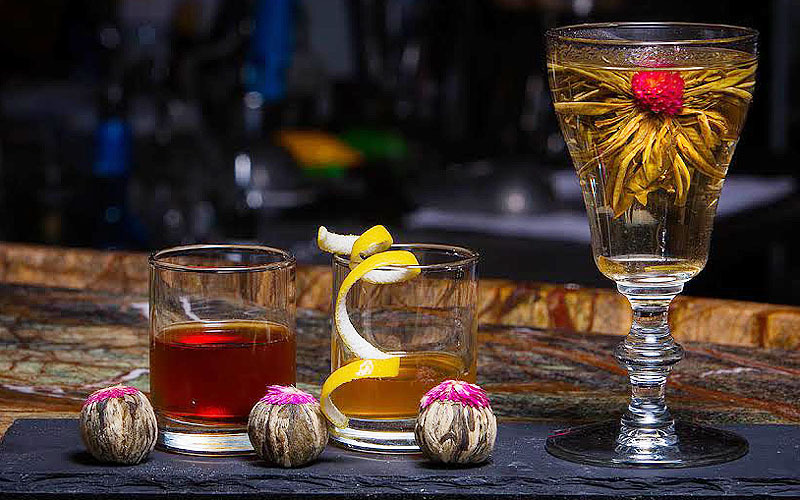 Try this spruced up version from Harlow’s Kitchen & Craft Bar in San Juan Capistrano by combining one ounce of Chinese blooming tea simple syrup, two muddled lemon slices and two ounces Mezcal Delirium tequila poured over Chinese blooming tea. Garnish with a cinnamon stick and lemon wheel. FYI this can be served cold with iced tea. So fancy! Forget fruit cake. 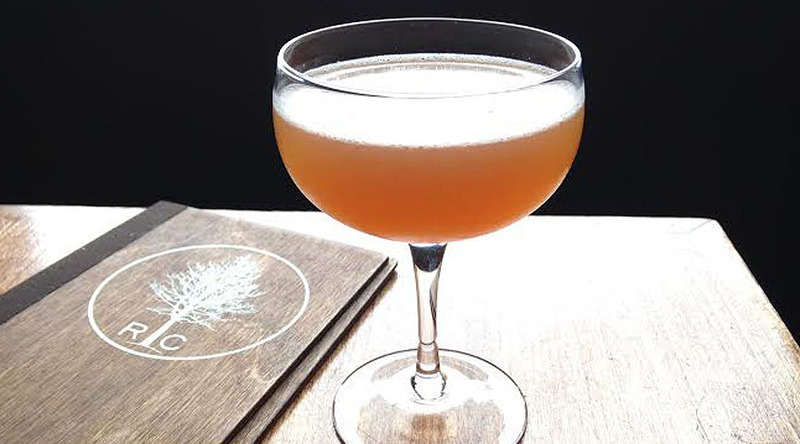 Try a fruity concoction like A Lovely Pear by from bartender Aaron Ranf at Rustic Canyon in Santa Monica. Combine pear and ginger-infused rum, Park VS Cognac, fresh lemon, wildflower honey, Scrappy’s cinnamon and cardamom bitters. 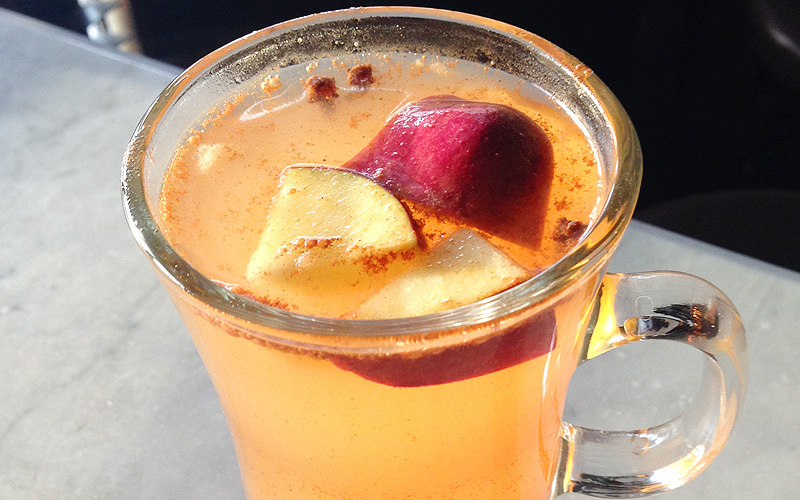 You’ll definitely warm up your winter nights with this Spiced Cider from Thirsty Crow whiskey bar in Silver Lake. The heated cocktail mixes Sailor Jerry rum, Butterscotch Schapps, fresh apples, fresh apple cider, cloves, cinnamon and a dash of nutmeg. 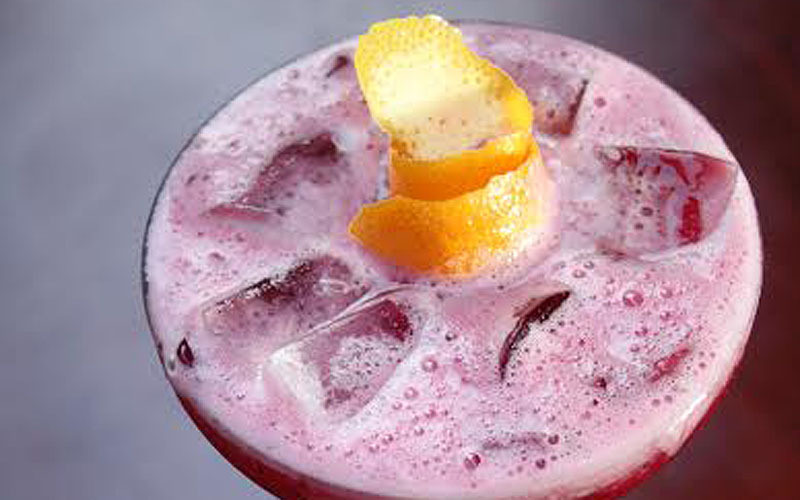 To make this new twist on a classic from Cha Cha’s Latin Kitchen in Brea, mix 1.5 oz Pueblo Viejo blanco tequila, half ounce Cointreau liqueur, 1.5 oz mulled cranberry, an ounce sweet & sour, half ounce spice syrup and three dashes of Fee Brothers cranberry bitters in an ice filled shaker. 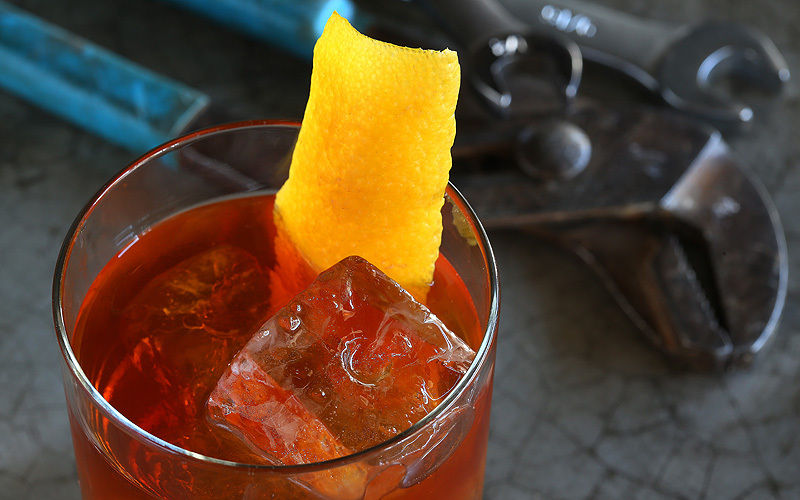 You can finish it off with a fresh orange twist. Feliz Navidad! Bacari in Playa Del Rey makes spirits bright with the Winter Wondermint, a simple recipe of 1.5 ounces of gin and a half-ounce each of creme de cacao and Wondermint peppermint liqueur. Stir with ice, strain and garnish with a Luxardo cherry (not those artificially red #5 deals you find in cheap drinks) and enjoy! 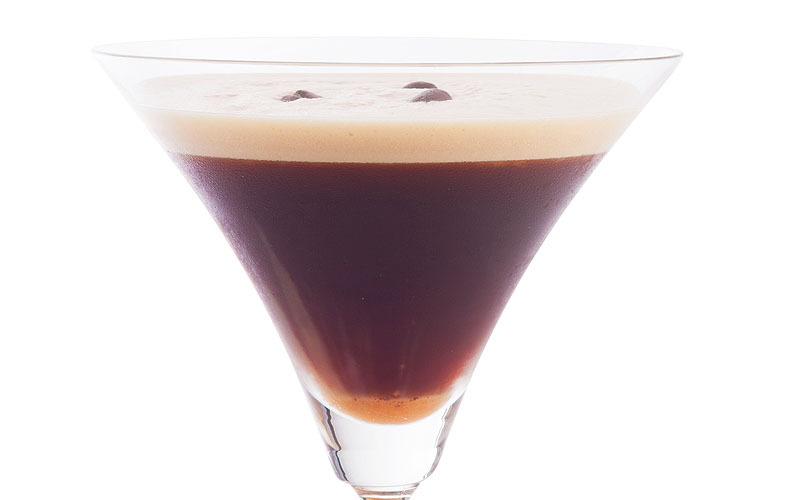 Give your standard java drink a jolt with this holiday (and vegan!) concoction made with 1.5 ounces each of Ciroc Coconut, chocolate covered coconut and iced coffee, finished with a bit of agave for sweetness. 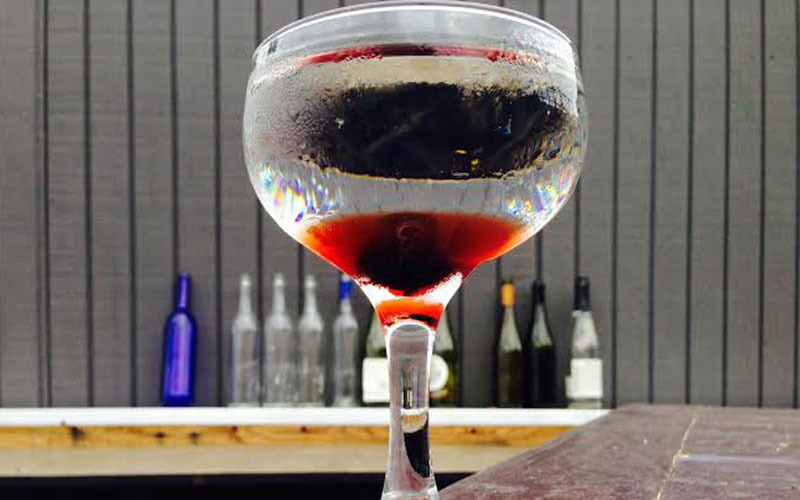 Shake, strain and serve in a martini glass. 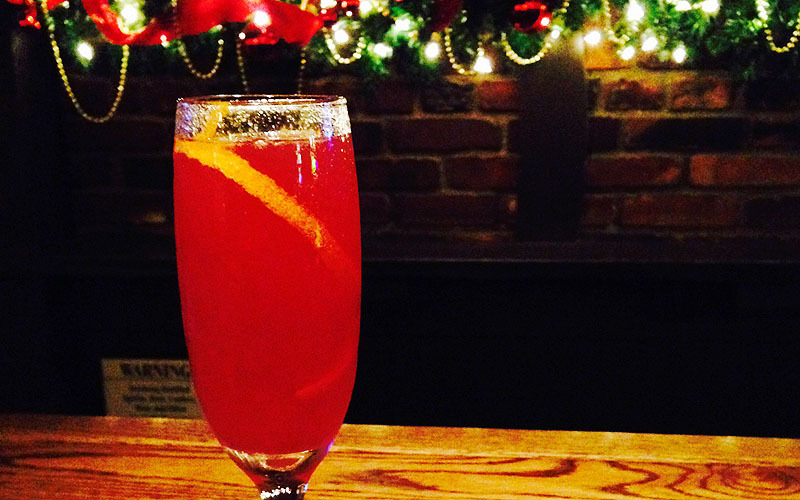 This fizzy drink served at Tam O’ Shanters in Los Feliz is a lively one to try at your next party. Simply mix two ounces of cognac, half ounce each of lemon juice and agave nectar, a few dashes of Reagans bitters and one teaspoon of cranberry sauce. Shake it up with ice, strain into a champagne glass and fill to the top with Moscato. Cheers! 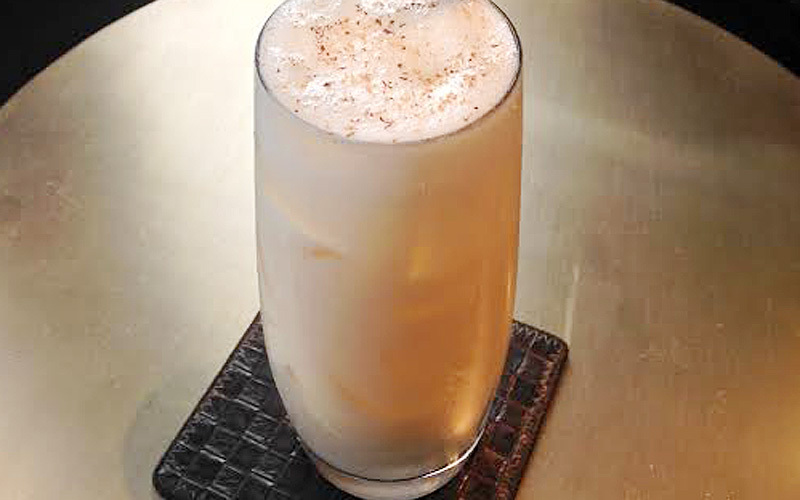 A take on the classic milk punch cocktail, Clouds Over California mixes warm winter flavors into a delicious cold cocktail — perfect for our 75-degree SoCal holidays. Start by steeping 2-3 cinnamon sticks in soymilk for 2-3 hours ahead of time. Then, in a shaker, combine 1.5 ounces of soymilk, half-ounce of Velvet Falernum, one ounce each of potato vodka and white rum, plus 3⁄4 oz persimmon syrup. Serve in a Collins glass with ice and top with nutmeg. Or better yet, just go to Providence and have Jackson at the bar whip this one up for you. Much easier that way. The drinks at the new Freddy Smalls are worth the trip alone, not to mention the food is really good… did not get to try that Pine Bough up above, but I am guessing it is mucho perfecto! wow this is the mother of all holiday drink lists, so the big question is where to start??? start from the bottom up! Someone drank a LOT of cocktails just for 1 piece. That’s freakin’ dedication. hahaah – that’s EXACTLY what I was thinking! Love it!! !